StaffLogic makes work time planning up to 50% faster, and increases the quality of your services accordingly. StaffLogic is a competence-based workforce optimization, planning and time tracking tool, which offers automatic scheduling, workforce management, HR analysis and reporting functions. StaffLogic is designed for companies that need to schedule work in shifts: security services, retail, banking, call centers, manufacturing, etc. StaffLogic resolves all the requirements of labor contract laws, as well as the issue of over- and undertime calculation in a given summary period. It accounts for employees� preferences and restrictions, and helps follow labor regulations. It manages holidays, medical leave, training leave, business trips and other absences. Everything related to the employee and their work time becomes transparent and easily traceable/manageable across the entire company, from one place. We offer both standard solutions and products customized to a particular company�s needs, integration with internal systems and development of additional functionality. StaffLogic helps consolidate all data pertaining to an employee: contact info, work contract info, work contract change history, skills/competencies, history of absences, training courses, restrictions. Data viewing and editing is restricted using a multi-level access rights system. "Instead of multiple Excel schedules, we just have one tool. Over- and undertime can be checked across the company. 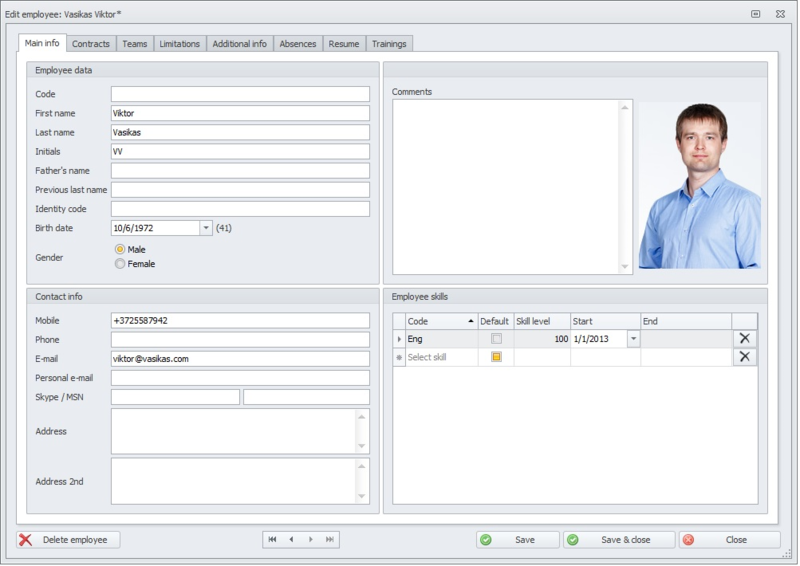 Wage calculation is several times faster"
"StaffLogic ensures standardized and unified work time planning and tracking. It gives us an operational overview of scheduled and used work time (over- and undertime)." "Saves labor costs by predicting the customer contact volumes and scheduling accordingly." "Fewer mistakes occur during planning and time tracking. It is easier to find a replacement employee from a different store. Time tracking has speeded up."